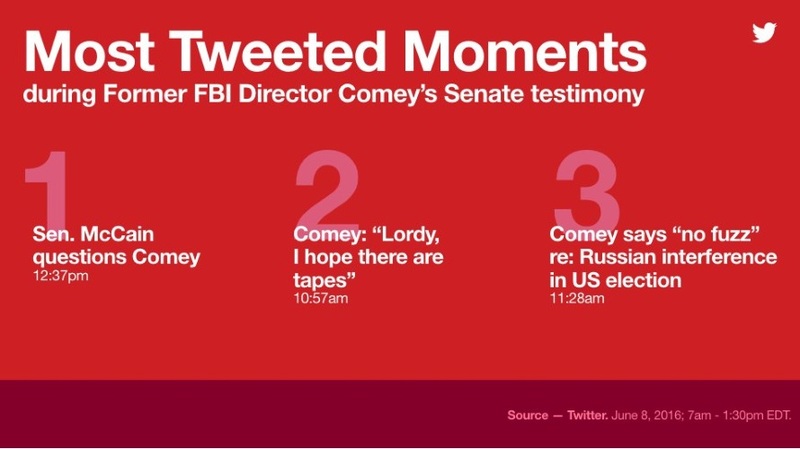 Former FBI director James Comey’s testimony before the Senate Intelligence Committee Thursday spurred 3.6 million tweets between 7 a.m. and 1:30 p.m. ET, Twitter Data revealed in a tweet. Sen. John McCain (R-Ariz.) questions Comey, 12:37 p.m.
Comey says, “Lordy, I hope there are tapes,” 10:57 a.m.
Comey says “no fuzz” referring to Russian interference in the U.S. elections, 11:28 a.m. UPDATED June 9, 5:35 p.m. 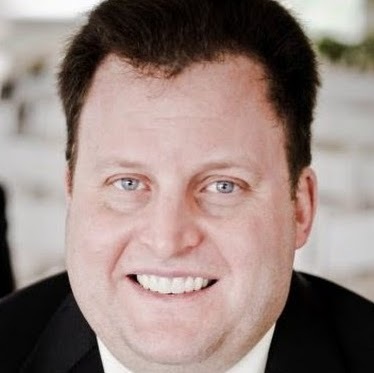 ET: Bloomberg livestreamed Comey’s testimony via its @business Twitter account from the media company’s bureau in Washington, D.C., and that livestream reached 2.7 million unique viewers globally. Twitter said the livestream had an average minute audience of 129,00 viewers, adding that 88 percent of logged-in live viewers were under the age of 35.